This one has always been in my top 5 favorites worldwide. Would definitely be a MAJOR cleanup...youre probably correct. 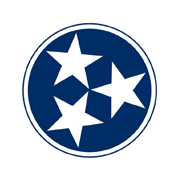 Fantastic news for Nashville no matter the location, however don't expect a one or two tower solution here....big tech traditionally prefers a campus so expect a River North location or even a miracle that PCS Metals is ready to negotiate a move. Official statement from Amazon via CNN....will not pursue 2nd location at this time and will focus on "Northern Virginia and Nashville". ehhh. Better than I expected but we all know it will end up being just another rectangular box with a drastic height and floor reduction... True distinguishing architecture (at least in Nashville as well as other Tennessee cities) is dead. While I understand your concern, as a current Knoxville resident and former resident of Nashville, I can promise you that there is absolutely no comparison to Market Square and this park....none whatsoever. lol. In all honesty, this 1ft from making 300ft doesn't irk me nearly as bad as the 10ft from 500ft that is Fifth Third Tower. Prior to AT&T, developers were somehow terrified to breach that 500ft mark...actually, it seems they still are. I agree on BoA Corp. Center but IMHO, Hearst is tragically ugly. A building which spreads near the top rather than taper may be imaginative but certainly does not equal attractive. A mix of the two styles you outlined would be my preference. I would prefer not seeing a "glass wall" overtake Nashville whether it is more modern or not. To your point, there is not a building in Miami or Austin that I am jealous of, however Charlottes Bank of America Corp Center is everything great architecture should be...not because of its height but it is gorgeous in every aspect, framed window cladding and all. I personally would be jealous of this building if it were only 500ft. Should this happen, I can see the soccer stadium in the fairgrounds plan scrapped in favor of this location. Off topic, but You might be glad to hear that much like Nashville, downtown Knoxville has experienced a great turn around in recent years. Almost the entirety of downtown Knoxville is now safe. Once boarded up building have been revived with restaurants, boutique hotels, bars, and shops and the area is thriving and hundreds of apartments /condos are coming online and are planned including a new 20 story apartment tower. Also hearing some rumors of a new mixed use tower across the street from Plaza Tower on Gay Street. We have indeed made a complete 360 from the downtown of just a few years ago. The transformation has been truly amazing. Love it! Will be a great addition if comes to fruition. Just one observation here...how do they possibly think they can sell/lease units on the north side of that building (unless dirt cheap) which will be overlooking what will arguably the trashiest view (PSC) in the entire city?